Mobile users: click button in upper left corner for more information! 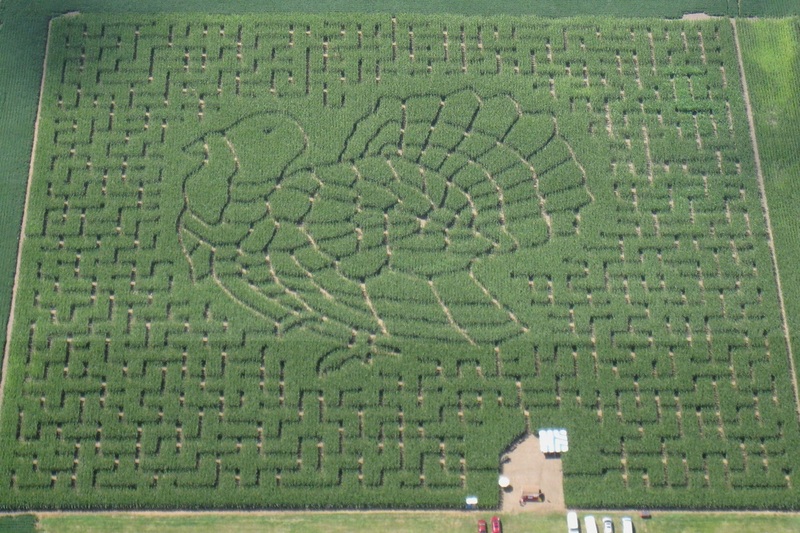 Located southeast of Harrisburg, SD, Heartland Country Corn Maze offers fun for the whole family! Enjoy a walk through the wonderful natural environment provided by maturing corn. 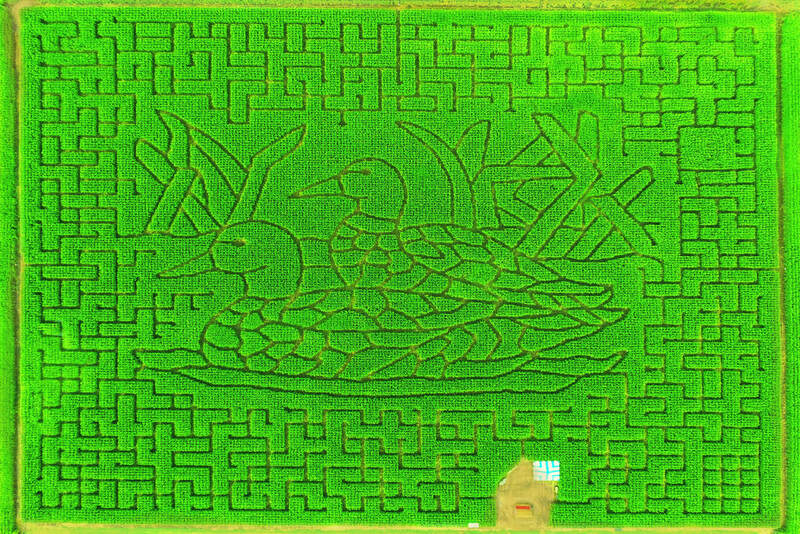 Our 11-acre life-size maze carved out of towering corn stalks is a fun and unique experience sure to please! With a maze map and a list of questions in hand, find your way to ten checkpoints which contain answers. Find the hidden checkpoint and receive a FREE treat from the Concession Barn. Whether young or old, the maze offers a fun outing with a twist of education! Enjoy our on-site Concession Barn and Shade Tent with seating for 40. Restrooms are also available on site. Up for a challenge and want to test your night vision? maze with the moon overhead! Don't forget to bring your flashlights! _ Sign up for e-mail alerts! We will keep you up-to-date on our maze throughout the year! E-mail subscribers will also have the chance for special coupons! Sign up below! We will immediately send you a confirmation e-mail, you must open the e-mail and click the confirmation link! Thank you! Join Our E-mail Alerts HERE!